visions and colors or feeling of having been "in touch". (oil glad or sac) of the the plants. 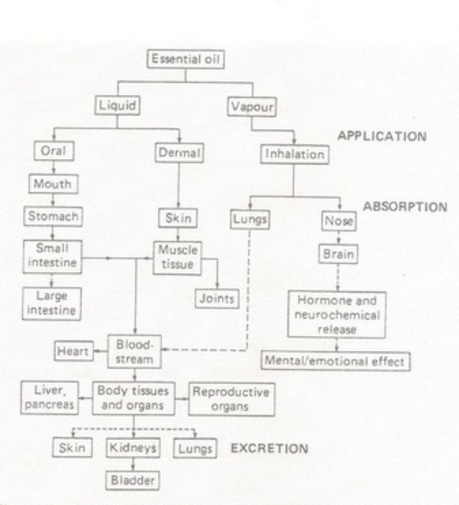 liquid form producing essential oil. acted as antiseptics and antibacterials. take pleasure in" is represented by a "nose". and alternate medicine...with much success. of a medical professional when there is a problem. the certification of "Aromatherapy Practitioner". sensitivity should be considered as well. oils in order to be sure they are safe. purified for a smoother and creamier consistency. (Olfactory) and then pass through our system. This is quick and effective. vapor into the nasal cavities.